When selecting a hardwood floor, one of the first considerations is the style of your home. You should take all interior elements of your home into account, including cabinets, trim work and any other design elements that should match the floor. Keep in mind that shades of hardwood that mix darker and lighter pieces go well with a traditional style. There are many popular combinations that are commonly suggested by designers, but you might be able to come up with different ideas for some unique results! Some the most important considerations for hardwood flooring installation are the staining and finishing options. While hardwood floors are certainly beautiful in their natural form, a stain can add color to the wood, highlight the grain pattern of the interior wood and enhance its aesthetic appeal. Finishing can also be beneficial as it affects the maintenance of the floor and prevents it from getting dirty. You can apply nearly all stains and finish to most types of wood, so simply make your decision based on your style preference. Another factor to consider when choosing hardwood floor installation is your everyday lifestyle in your home. For example, if you have kids or pets in your home, your floors might undergo significantly more wear and tear. If that is the case, you should choose a type of wood species that is more durable. Many homeowners prefer Red Oak as it is very heavy-duty and the prices are quite reasonable. You may want to install a particular type of hardwood flooring based on the subfloor in your home, which is normally plywood, particle board or a concrete slab. If you have a plywood subfloor, you can use both solid hardwood floors or engineered hardwood floors. However, if you have a particle board subfloor, you will need to replace it with plywood before adding solid or engineered wood floors. Concrete slab floors also require plywood installation prior to adding solid wood floors. One thing that many homeowners typically forget when considering hardwood floors is the amount of daylight in their home. After all, natural daylight and the colors of your walls may either ruin or enhance the appearance of your hardwood floor! If you want to install the hardwood floor into a room with plenty of natural light, dark floors provide a better contrast. On the other hand, if the room has a minimal amount of natural light, you should select a light-colored hardwood floor. 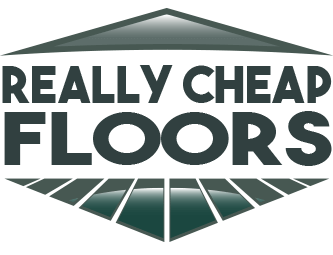 Now that you know about the factors that you should consider when choosing hardwood floor installation in your home, check out all of the flooring products from ReallyCheapFloors.com! We look forward to doing business with you soon! Carpet Vs Hardwood Flooring: What Should You Choose?